https://commercialsteamteam.com/wp-content/uploads/2017/08/cst-logo-300.png 0 0 shelby h https://commercialsteamteam.com/wp-content/uploads/2017/08/cst-logo-300.png shelby h2017-06-20 19:12:052017-09-20 21:46:25Why Online Reviews are so important for Commercial Steam Team! An independent research team found in 1972 that the “steam extraction method” using hot water was superior to all other types of carpet cleaning. In fact, in 1988 DuPont required that this method be used for their Stainmaster carpets. Read more here. Be careful with retail steam cleaners and your carpet. Too much heat is not good, and some retail steamer products can damage or destroy your carpet. Professional steam cleaners do not use steam to clean your carpet, despite the name. Instead, they use hot water extraction. Read more about tips and info on cleaning your carpet. Looking for health benefits? Use hot water extraction carpet cleaning instead of dry carpet cleaning. Avoid chemical buildup – steam clean carpets every month during winter months. Clean spills immediately to minimize chemical bonding with carpet materials. Blot spills, do not scrub them. Call Commercial Steam Team for a bright clean carpet. Click here to read more about winter chemicals and cleaning tips. Keeping your carpet clean during a Minnesota winter can be a lot more important than you might think. In particular, road de-icing chemicals are a health and safety hazard waiting to happen. The dust from magnesium chloride, one of the road de-icing agents used by the MDOT, has been cited in articles as a cause of electrical arcing on electrical systems and wiring failures on trucks. In home and office environments this chemical and others can blow into the air where it can settle on electrical components or be sucked in by computer fans, potentially causing failure. Another de-icing chemical, potassium acetate, can cause serious health and safety issues. Read more about these and other topics here. Keep your carpets clean and safe with regular steam cleaning. In the fall and winter we tend to make our homes cozier by burning candles. Candles come in wonderful holiday and winter scents such as cinnamon, pine, and pumpkin and can make your house smell holiday fresh. It’s a good idea to use a glass plate under a candle called a charger to prevent wax from overflowing and ruining furniture and carpet. Most candle makers say not to leave candles burning unattended. Leaving a candle to burn unattended can cause a variety of undesirable outcomes such as fire or wax dripping on furniture, fabrics or carpet. If you have an area where wax dripped onto your carpet give us a call and we can tell you the best way to handle this dilemma. Call Russ or Ryan at Commercial Steam Team 952-224-7222. As it gets colder your family spends more time inside your home. If you have kids they usually like to sit on the floor and play video games or watch TV. Now is a good time to clean your carpet since you’ll be spending so much time inside. With the holidays coming up your home will smell clean and fresh. Give us a call before our winter rush Commercial Steam Team 952-224-7222. This is not the first time that Commercial Steam Team has provided their carpet cleaning services. They do a good job with everything every time, so I know that we hire them that they’re going to do quality work. The people who come do a good job and they’re friendly. If something happens to go wrong, I know that we can always call them back and they’ll come back and fix it without any problems. Overall, it’s always been a great experience with them. Did you know that we have a Quality Control System in place at CST? Aimed at making sure that every job we do is the BEST job, our Clean Carpet Quality Control (CCQC) System has been in place for years, and monitors every aspect of each project. From initial calls and scheduling, through the actual project itself and even to follow-up calls to ensure everything met or exceeded your expectations, CCQC is here to make sure that you are completely happy with our work. Since we build our business based on referrals, its critical to us that everything is perfect for you. How else can we get more referrals! Read about our CCQC program here, and please send us referrals – it helps us grow even stronger and better at what we do! We recently won the 2014 Best of Rosemount Award for Carpet and Upholstery Cleaning! Do not use the broom or brush attachment, since these will also drive the litter deeper into the carpet. Similarly, a hand vacuum is to be avoided if possible. When done, apply a carpet deodorizer so that the kitty won’t decide that this is a new litter box. If your cat does decide to use the floor as a litter box, give us a call so that we can get out those deep-rooted smells! For more information on cat litter and your carpet, read our article! When Should Office Carpets Be Steam Cleaned? Do you manage an office building or are you in charge of having your office carpets cleaned? If so, do you know how often they should be cleaned? Office buildings should have their carpets steam cleaned every 6 months to a year depending on the number of employees and the conditions they walk in on the way to the building entrance. If you’d like to learn more about how often to clean commercial carpet, visit our page commercial carpet cleaning schedules. https://commercialsteamteam.com/wp-content/uploads/2017/08/cst-logo-300.png 0 0 sc https://commercialsteamteam.com/wp-content/uploads/2017/08/cst-logo-300.png sc2014-06-30 10:24:392017-09-21 15:29:10When Should Office Carpets Be Steam Cleaned? This time of year is when you get heavy traffic on commercial carpets and exposure to more dirt, spills and stains. It is good to know that in case of a carpet disaster you can count on us to save the day! Whatever your emergency we can help, even scheduling cleanings in the evening during less busy times. Commercial Carpet Cleaning Satisfaction Guaranteed! 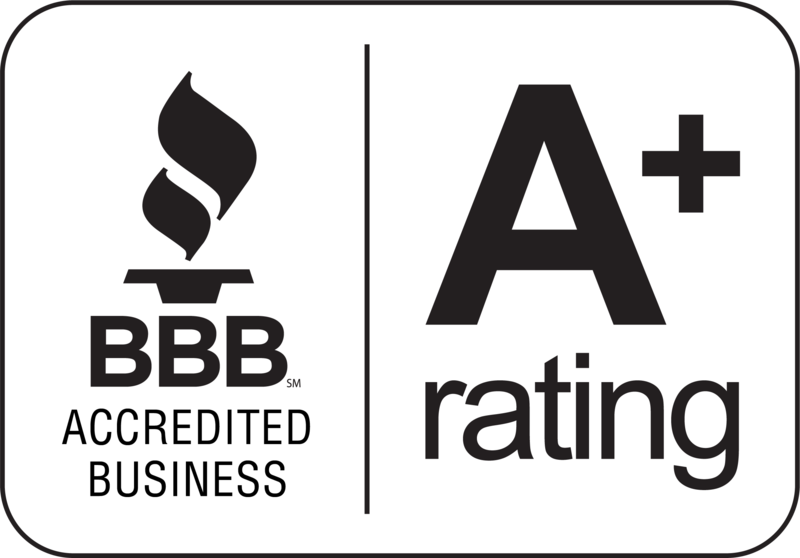 We are a family owned and operated business and we pride our service with high-quality control standards. Quality control is critical for Commercial Steam Team, in fact, a few days after we clean your carpet we will call you to check and see if you are satisfied with our service, your carpet is clean and you are happy with our work. Want to learn more about the Commercial Steam Team Quality Control System? Visit this page to learn more. We provide a totally different experience and reward our employee which keeps our performance standards high. Take a minute and check out the main Commercial Steam Team website or call us for a free estimate on commercial carpet cleaning at 952-224-7222.
https://commercialsteamteam.com/wp-content/uploads/2017/08/cst-logo-300.png 0 0 sc https://commercialsteamteam.com/wp-content/uploads/2017/08/cst-logo-300.png sc2014-05-26 09:38:422017-09-21 16:22:36Commercial Carpet Cleaning Satisfaction Guaranteed! Banquet rooms get used for seminars, parties and corporate events that usually involve food and drink. Spills and accidents from guests happen frequently and may not get cleaned up right away leaving the banquet room carpet dirty and stained. It is important to have buffet carpet cleaned periodically to remove the food and drink spills. Check out our video of a buffet cleaning: click here to watch! Commercial Steam Team has offered commercial carpet cleaning since the company began over ten years ago. We understand that it is important to have clean carpets and equally important that your business is not disrupted by carpet cleaning. We use the highest quality equipment and have professionally trained staff to guarantee your carpet is cleaned to the highest standards. We also have flexible hours that include nights and weekends. As summer approaches hotel carpets get heavier usage and dirt, spills and debris can be tracked in on footwear and luggage rollers. Most commercial grade carpets are durable and stain resistant but hotels get much more traffic compared to a typical office building and may need more frequent cleaning during the busy season. We understand that taking time during your busy season to clean carpets can be difficult – that’s why we offer commercial carpet cleaning on both on and off hours. We work with your schedule so your business and your guests are not disrupted while we make your carpets clean. In our last post we talked about restaurant carpets trapping spills, grease and bacteria and producing bad smells. But there are several other areas of a restaurant where bad smells can come from such as mops, cleaning cloths and upholstery. One of the biggest mistakes restaurants make is to use a mop that has been standing in a mop bucket that is not clean. Mop buckets should be prepared with hot water and proper degreasing cleaner before use. When done mopping the floor, mop buckets and mops should be rinsed in hot water to get all the grease and dirt out of them or else they quickly develop a rotten smell. Another odor-producing place is dirty wiping cloths used to clean tables and booths. Cleaning cloths should be clean smelling and the bucket of sanitizer should be cleaned before the start of every shift or whenever dirty. Cleaning with a dirty cloth can make a restaurant smell bad and spread bacteria and germs. Upholstery is another area that gets overlooked and where smells build up from grease, spills and bacteria. Restaurants that have upholstery on booth seats and walls require periodic steam cleaning as well to keep the restaurant clean and prevent those bad smells. Remember that people get used to a smell and after a short period of time don’t even notice it any more. This means that your staff may be completely unaware of odors that may cause customers to leave or to never come back. Translation: make sure to use cleaning tools that are themselves kept clean, even if you think your customers won’t notice. Wondering where in Minnesota we clean carpets and upholstery? Check out our service area page to see. After reading restaurant reviews in Minneapolis you’ll find that customers not only judge service, quality and selection of food at a restaurant they also judge cleanliness. If you have bad smells in your restaurant it can ruin people’s dining experience. Smells can build up over time and you may not even notice it. It’s easy for your staff to get used to a smell and after a short period of time not even notice it any more. This means that they may be completely unaware of odors that may cause customers to leave or to never come back. Aside from that, people have different smell sensitivities and can be offended by smells. There are preventative measures that restaurant managers can take to prevent smell buildup and provide an excellent dining experience. The biggest part of a restaurant that can produce smells is the carpet. Food, drink and grease spills can get trapped in carpet and build up a terrible smell. One way to prevent this is to have your carpets steam cleaned periodically to remove all the grease, food, dirt and bacteria. Steam cleaning under the tables and in the high traffic areas around the kitchen will not only prevent bad smells but also extends the life of restaurant carpet. Carpets can be steam cleaned after you close your restaurant and be ready to use within a few hours. After a long hard winter there are many things in your carpet. Food spills, skin cells, pet detritus, and de-icers are only the tip of the iceberg. This is quite literally true, because most of the damage is hiding invisibly down among the fibers of your carpet, down where it can feed mites and bacteria, creating health hazards and bad smells that you probably don’t even notice by now. Trust me, people that don’t experience your carpet every day can notice those smells. A deep extraction steam cleaning is the diagnosis for this condition of winter yuck buildup. Steam cleaning will flush out those contaminants and leave your carpet fresh and clean. In the meantime, there are a few things you can do to take care of the worst of spills without damaging your carpet. See our article on Carpet Stain Removal to learn more, but remember that the longer a stain lies on and in your carpet the more likely it is to become permanent. Call Commercial Steam Team today at 952-224-7222 to see how we can help make your carpet clean and fresh! Having your carpet treated with a carpet protector is a great investment. Once we clean your carpet have us apply a protector and if you act quickly you will be able to remove many stains that would otherwise set in. Keep in mind that the longer it is before you act the more likely that the stain will become permanent, even with a protector applied, and no carpet is completely stain proof. If you do have a spill, blot the stain with a dry white absorbent cloth or towel. Do NOT scrub the area! Work from the outside-in to minimize spreading the stain. If your spill is dry, vacuum the spill before trying other methods. If it is semi-solid, gently lift the staining material with a round spoon. Carpet protectors will help improve the effectiveness of these strategies. It’s important to have a cleaning schedule for your hotel. Operating in a random-response format can not only shorten the life of your carpet, it can also adversely impact your business, since people often notice dirty carpet and go ‘on lookout’ for more evidence of a lack of cleanliness. How often should you clean your carpet? According to Dalton Hospitality Carpet Mills, hospitality cleaning schedules should vary depending on traffic levels and types of contaminants. Keep in mind that high-traffic areas like entrances and special locations such as in-house restaurants will require a different schedule than most hallways, for instance. Cats can be a joy and a comfort, and unfortunately they can also be a problem on occasion. One such occasion is when they track litter around the home or office. Litter that is no longer ‘fresh out of the box’ is as we know not very sanitary, and having that spread around is not good. Clumping cat litter in particular is very trackable. Litter can spread germs and smells, and if enough builds up can be an inspiration to start a new kitty bathroom. Besides, it hurts to walk on litter in bare feet. A quick solution for reducing most of this litter problem is simply to have a carpet remnant or sample on the approach to and under the litter box. These remnants are much easier to clean. (Just take them outside and shake and beat them out.) A medium length cut pile carpet is generally best for this purpose. For more ideas on controlling litter issues, visit our page on Cat Litter and Carpet. 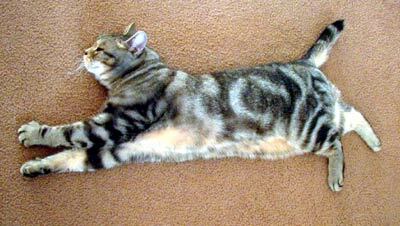 The simplest way to keep your kitty from tracking dirty cat litter into your carpet is to change the litter frequently. Once a cat’s litter becomes dirty the clumps may stick to their fur or between their toes and be tracked throughout the house. To further minimize the spread of litter, place small carpet remnants or carpet samples under and around the litter box for at least a three foot distance. Whenever these carpet pieces become dirty with litter take them outside and shake and beat them out, or if this is not possible, then vacuum these pieces frequently. For more great ideas read this article on keeping litter out of your carpet. Fiber producers and carpet manufacturers recommend that a residential carpet should be professionally cleaned at least every 6 to 12 months for best performance. Soil that is not removed from the carpeting cuts and slices on the carpet fibers, breaking down the carpet yarn. The result is that even with restorative cleaning, it won’t correct the damage that has been carried out to the fiber. If you are someone who has heard the phrase “Wait as long as you can prior to having your carpets cleaned..” or “Once you’ve cleaned your carpet, it’s never the same..”, these comments are a result of carpet cleaners that have left the carpet with an overload of detergent residue and heavy oils, that do not get completely extracted with some cleaning systems. As a result, the new dirt is attracted back to the ‘old dirt’ and heavy oils that were brought to the surface during the cleaning process. Once you walk around in the space for a few weeks, the carpet looks dirty again because the new dirt is attracted back to the old dirt. In conclusion, carpet that is cleaned properly, every 6 to 12 months, will last longer and be healthier for the environment of your home. https://commercialsteamteam.com/wp-content/uploads/2017/08/cst-logo-300.png 0 0 sc https://commercialsteamteam.com/wp-content/uploads/2017/08/cst-logo-300.png sc2014-01-13 11:36:512017-07-31 17:58:01How often should you clean your carpet? A red wine spill on carpet is very common. There are many do-it-yourself ways to remove red stains from carpet, but there are also many DIY solutions that can damage the carpet fibers or set the stain and ruin the carpet. Most carpets these days are stain resistant but you still need to treat the spill to minimize the damage. Learn how to treat stains in your carpet by reading our article on Carpet Stain Removal. Have You Checked Your Carpet Warranty? Did you know that your carpet warranty requires you to do certain things? For instance, Home Depot limited warranties require you to have your carpet cleaned every 12-18 months using the hot water extraction method (such as the one used by Commercial Steam Team). They also recommend that you vacuum at least twice a week. Stain and Soil Warranties can be even more specific, since coverage is limited to certain items that can cause the stain, and often exclude non-food and non-beverage items, for instance. Even here, many items that have strong dyes such as coffee, curry, mustard, and herbal tea are also not covered under soil and stain warranties. Be aware that bodily fluids are also typically excluded. If you have a tough stain to get out or a carpet under warranty, call the professionals at Commercial Steam Team to make sure you can get the longest life for your carpet! https://commercialsteamteam.com/wp-content/uploads/2017/08/cst-logo-300.png 0 0 cstadmin https://commercialsteamteam.com/wp-content/uploads/2017/08/cst-logo-300.png cstadmin2013-09-23 15:47:172017-01-30 21:43:35Have You Checked Your Carpet Warranty? We recently cleaned a buffet and while we were there we shot this video of the actual cleaning. No the video isn’t doctored and the scene wasn’t staged. In fact, we’d already started cleaning before it occurred to us that we could take a video! Click here to see our Buffet Cleaning Video! A Few Days Without Rain? Are we finally going to have a few days to dry out? If so, this may be your best time to get the mud out of your carpets! Winter de-icing chemicals, mud, dust mites…lots of unpleasant things can build up in your carpet over the winter and into a wet spring. Now is a great time to clean out the built up goop! Give us a call and we can bring your carpets back to fresh and clean and ready for summer fun! https://commercialsteamteam.com/wp-content/uploads/2017/08/cst-logo-300.png 0 0 cstadmin https://commercialsteamteam.com/wp-content/uploads/2017/08/cst-logo-300.png cstadmin2013-05-27 06:14:342017-01-30 21:43:36A Few Days Without Rain? Finally after several days without white stuff falling from the sky can we assume that spring is finally here? It’s time to celebrate the arrival of warm weather! Let’s put the last of winter behind us and start our spring cleaning both outside and inside. This is the perfect time to get all the winter grunge out of your carpet with a fantastic cleaning job by Commercial Steam Team! Call us today to start getting ready for summer fun! https://commercialsteamteam.com/wp-content/uploads/2017/08/cst-logo-300.png 0 0 sc https://commercialsteamteam.com/wp-content/uploads/2017/08/cst-logo-300.png sc2013-04-29 06:33:222017-01-30 21:43:37Has Spring Sprung? It is important to have your carpets cleaned regularly in a childcare facility because of the high volume of spills, mishaps and germs. People track in all sorts of dirt and debris on their shoes which collect in the carpet, not to mention all the coughs and colds in spring and winter. Children tend to play directly on carpet when at daycare and even lay or fall asleep on carpet during story time so it is important that the carpets be clean. A thorough steam cleaning will remove the buildup of dirt, spills, stains and germs in the carpet making it look new and smell new again. Call Russ 952-224-7222 for a free estimate for daycare facilities in the Twin Cities. It almost seems like an April Fools event of interstellar magnitude. The meteor that landed in Russia is stirring up quite a lot of modern day prospectors looking for pieces of the shattered meteor. Whole families travel to the Chelyabinski region of Russia to hunt for the meteors fragments. A local homeowner at the crash site found three 1cm space stones. The internet is running wild selling so-called Chebarkul meteorite fragments. If you’d rather stay more down-to-earth you can call Commercial Steam Team to clean all the microscopic meteor fragments out of your carpet! https://commercialsteamteam.com/wp-content/uploads/2017/08/cst-logo-300.png 0 0 sc https://commercialsteamteam.com/wp-content/uploads/2017/08/cst-logo-300.png sc2013-04-01 06:24:022017-01-30 21:43:37Russian Meteor Fragments? Our team is dedicated to provide you with superior service and high-quality work at an affordable price. We offer carpet cleaning for residential and commercial businesses throughout the Twin Cities Metro area of Minnesota. Many carpet companies send out flyers in the mail, ValPak or newspapers advertising a very low price. Often the deal seems too good to be true… and it is. Carpet cleaners that offer coupons for a cheap price often hit you with plenty of additional charges once they are doing the cleaning. Bargain priced carpet cleaning companies don’t do a good job because they don’t care about doing a good job. When a carpet cleaner advertises 3 rooms cleaned for $99 and in small print (max 450 sq ft) be aware that they often make their money on extra charges and up-selling. Even in a small home 450 square feet is often no more than one or two rooms. Extra charges are charged at their discretionary price… and often these prices are not written down and come as a surprise to the customer. Commercial Steam Clean builds its business on reputation and performance. When you pick up the telephone to call us you will get a real live person that cares about everyone of its customers as if they were family. Call Commercial Steam Team today at 952-224-7222 and get a free quote. When you pick a carpet company to come into your home to clean your carpet you’ll need to pick a reputable company that will give you personalized service and have good work ethics. When you are looking for a carpet cleaning company always ask for references and check out their website. You are letting someone in your home or business so it is important to check and see what type of employees a company hires by checking them out. At Commercial Steam Team we are family owned and operated. Our employees have been hand selected based on their personalities and work ethic. See a short video on how we treat our employees as family. Beer Spilled on Your Carpet? Now that we’re coming down to the football playoffs it’s inevitable that someone will spill beer on the carpet. Whenever there is a touchdown the audience can get so excited that can send beer flying across the room. To combat the smell of beer in your carpet, sop up the beer as soon as possible with plain white paper towels. Don’t use printed paper towels as the dye can come off leaving a colored stain. If it is a larger beer spill you may want to soak up as much of the beer as possible then mix some warm water with clear liquid dish detergent and one tablespoon of white vinegar. Apply mixture to carpet with a sponge a little at a time and blot the spill with a clean absorbent towel each time you apply the solution. https://commercialsteamteam.com/wp-content/uploads/2017/08/cst-logo-300.png 0 0 steamer https://commercialsteamteam.com/wp-content/uploads/2017/08/cst-logo-300.png steamer2013-01-21 06:39:042017-01-30 21:43:37Beer Spilled on Your Carpet? Mold is present in most places indoors and outdoors and particularly grows where it can find organic food sources and in moist dark places. Carpet can hold material that mold likes to eat so it is important to keep your carpet clean. Mold is a fungus that breaks down dead organic material. Mold lives by digesting organic plant or animal materials such as leaves, wood, paper, dirt, food and urine. It spreads by releasing mold spores in the air seeking new materials to feed on. Carpet spills that are organic such as food, pet urine and backed up drains can cause mold to settle and feed on the organic matter making your carpet smell and stain from the fungus. Allergy sufferers need to pay particular attention to getting any spills cleaned up off of carpet immediately before the carpet fibers absorb the organic matter. Scheduled regular carpet cleaning can help remove any built up debris and remove mold spores from your carpet. Did you know that soil and dirt can build up underneath your carpet and padding? Most people replacing carpet find layers of dirt under their old carpet and padding. If dirt and detritus is allowed to accumulate on carpet it is ground in by simple foot traffic, and the dirt and dry organic material leaches down past the carpet fibers and into the padding below. To prevent dirt infiltrations in your carpet have people remove their shoes, vacuum your carpet frequently and get your carpet steam cleaned at least once a year. https://commercialsteamteam.com/wp-content/uploads/2017/08/cst-logo-300.png 0 0 cstadmin https://commercialsteamteam.com/wp-content/uploads/2017/08/cst-logo-300.png cstadmin2012-12-03 06:21:412017-01-30 21:43:38Soil in Your Carpet? Holidays are a great time for family, food, and spills on your carpet. If you need some help cleaning up the spills, give us a call at 952-224-7222 so we can help get stains out before they set, and food particles out before they encourage mold and bacteria growth. If you have a pet or kids you can expect accidental stains on your carpets every so often. There are many homemade remedies for pet stain removal but they don’t get down into the carpet or are ineffective in other ways, and that can leave a source for bacteria, dust mites, and other things to feed on and grow. Isn’t it good to know your carpet can be cleaned with a hot water extraction cleaning from Commercial Steam Team! Learn more about cleaning up after pets. Please give us a call if you have a carpet that needs special attention 952-224-7222 Commercial Steam Team – Your Carpet Cleaning Experts in Minneapolis and St Paul, Minnesota! Over time grease can build up on commercial carpets and cause an unpleasant odor that your customers will notice, even if you do not. Even if you are careful to only place carpet in specific areas your staff will unknowingly track grease from the kitchen. Food and grease buildup under tables is also how grease builds up in carpets and it happens frequently in restaurants that regularly have teenagers and guests under 12 years old. Having the carpet in your restaurant steam cleaned to remove stains and odor will make a huge difference in the air quality of your restaurant. Remember, Commercial Steam Team is here for you. Call us today at 952-224-7222 and see how we can help improve the positive impact of your carpet on your overall image! Whether you are cleaning up vomit from carpet at home or office you have 2 types of mess to remove – sight and smell. Cleaning up vomit requires both an odor remover and a stain remover. The key is to act fast and get it cleaned up as quickly as possible because you don’t want it soaking into your carpet. Here are a few tips to help you get both. This may sound gross but remove as much of the solid materials as possible using a dustpan or piece of thick cardboard. Get old rags or absorbent paper towels and blot up any liquid or moisture. Use a second rag over the spot and step over the cloth to absorb any more moisture. Put down baking soda, corn starch or commercial type moisture and smell absorbent powder. Wait 15 minutes and vacuum up the powder completely. To treat the odor and stain you’ll need to use an enzyme cleaner that will break down the protein in the vomit. Enzyme cleaners are available at pet stores and in supermarkets. If you don’t have any cleaners on hand you can mix water, vinegar and soap as a temporary cleaner. Make sure you blot up all the cleaner and liquid with a clean rag, water will make the bacteria grow if you don’t remove all the moisture. It is important to try and protect your commercial carpet from salt and chemicals in the winter. Corrosive chemicals get deposited in the carpet and start to damage the carpet almost immediately. To protect your entrance carpets put down large mats outside the door to first collect the salt from people’s feet then place mats inside to collect any water or additional chemicals. Mats with loose pile texture or nubs that stick up like fingers remove more sludge than tightly packed pile mats. Make sure you have someone clean your mats as they collect dirt and sludge and a dirty mat is not as effective at collecting salt and chemicals. Regularly have your carpet steam cleaned by a professional to make it last longer. Next Sunday is Superbowl 46 between the New York Giants and The New England Patriots. Its also one of the best times for a party! Make sure that you have all your food and beverages ready, and plan carefully. If you also plan to have food, beverages, or snacks that can stain your carpet, you may want to place runners or area rugs down for the high-traffic areas to minimize potential damage to your carpet. If you need help with pre- or post-party carpet and upholstery cleanup, remember to call your friends at Commercial Steam Clean at 952-224-7222! Protein stains from animal accidents can be very difficult to get out of your carpet unless you deal with them right away with the correct extraction method. The first step to cleaning up animal accidents is to pick up all solids with a paper towel and then blot up any liquids from the spill. If cleaning vomit pour an inch of baking soda onto the wet spot. The baking soda will wick acidic digestive juices up and neutralize the vomit. Pick up the clumps of baking soda when done and throw them away. For wool or natural carpets always read the manufacturer’s directions to clean a spill. If you have a synthetic carpet you can use use an enzymatic pet urine remover product next. The enzymatic will digest animal proteins including urine, feces, blood and vomit. Because it works on all proteins it cannot be used on wool which some carpet is made from. If you have a natural carpet made of wool or cotton you need to use baking soda and vinegar to remove protein spills. Of course, you can achieve even better results with no worries by calling Commercial Steam Team . Our powerful and safe equipment relieves you of any worries from using rental equipment and is so much more powerful than any equipment on the market. We leave your carpet fresh, clean, and safe for pets and family. Call us today at 952-224-7222 and let us show you how easy it can be! In all the years we’ve been cleaning carpet we have seen some very interesting spills on office carpet that could have been prevented. Cleaning a spill as soon as it happens helps prevent the spill from soaking in and staining. Facilitate quick clean up by placing a bottle of multipurpose cleaner and an instruction sign on the counter of your break room where spills happen all the time and behind the front counter in your common or reception area. Put a smiley face or other goofy picture on the outside of the bottle to create interest and most people will read and use the bottle. You will also want to make sure you include instructions on the bottle on how to clean up carpet spills. Everyone has seen the cartoons where the angel sits on one shoulder and the devil sits on the other fighting over the conscience of a wishy washy mind. Carpet cleaners, like everyone else, are not immune to temptation. I own a commercial carpet cleaning company in the Twin Cities Area (Minneapolis, St. Paul and surrounding areas) of Minnesota. My crews and I can be spotted cleaning bowling alleys and bars until 5 or 6 in the morning. It is so tempting for carpet cleaners who are out that late cleaning to cut corners and not do a quality job. How do I prevent my crews from taking the easy way out at 4am? I start by hiring idealists. Idealists, by my definition, are the kind of professionals who would do a great job whether anyone is looking or not. Bonuses should be won and lost based on customer satisfaction. The rewards and penalties should be big enough to be a big deal to the technicians. I give 10% of our profits to my employees at the end of every year. This ensures that my technicians take every client seriously for the sake of ongoing business and referrals. Temptation is a fact of life for everyone. I don’t believe life is about avoiding temptation or shielding people from it. I believe it is about understanding the temptations and making that temptation unappealing. These policies have really worked well for my company and also protected my employees from making decisions that could cause us no choice but to lose a good employee. Wouldn’t it be great if carpet cleaning equipment was powered by actual horses? This might not be the best thing for the horses, but at least you could actually see the difference in power between the different companies based on how many horses pulled up in front of your home or business. My family owns a commercial carpet cleaning company in the Minneapolis/ St. Paul area of Minnesota. One of the difficult tasks we have is educating prospective clients as to why we are the best choice in carpet cleaning. While our track record speaks for itself when it comes to equipment, the general public doesn’t know the difference between one cleaning unit and the next. The first is maintenance. This is determined by how easy it is to maintain the equipment and how often will it break down. This part only affects the odds that something might go wrong during or before a job, not necessarily the quality. Secondly, and most important to the consumer, is the power source that the equipment runs on. Portables almost all run on electricity. The issue with electricity is that they run on circuit breakers that would trip if you draw too much power. Next, is the Kubota style cleaning units, these are a 4 cylinder engine separate from the trucks engine. This is far more powerful than the portable. Finally, is the direct drive carpet cleaning unit. Direct drive means that the carpet cleaning unit is powered by the actual engine of the vehicle that houses the equipment. These are almost always vans with V8 engines in them. These direct drive carpet cleaning units are the most powerful and effective units on the market because V8 engines have 8 cylinders, which create far more horse power than 4 cylinder engines. Horse power translates directly to vacuum strength for drying time, solution pressure for rinsing, and heat for releasing tough stains and stripping away grease and oil. I recommend always asking if your carpet cleaner uses a direct drive carpet cleaning system that runs on an 8 cylinder engine. This is also important because companies may have several different types and you may not know which one will show up for the actual cleaning. Whenever I tell someone that I know how to remove blood from carpet, usually without a residual discoloration, they usually ask me if I do crime scene cleanup. Although I have cleaned up after crime scenes, those are not where this skill comes in most handy. The most common occurrences of blood in carpet seem to come from children and pets. A cut on the underside of a paw or a bloody nose after a rough game of basement football is all it takes to track that reddish-colored liquid onto a light-colored carpet. But what does someone do to get this out? Blood is one of the most difficult things to get out of carpet. I’ve discovered that the iron in our blood rusts when it comes into contact with the oxygen in the air around us. Naturally, that rusty discoloration is best treated best with rust remover. I get odd looks when I first break out my rust remover to get the discoloration of blood out, but once people see it work, they are fascinated. The only catch is that this has to be done by a professional with a top of the line direct drive truck mounted carpet cleaning van. Rust remover is a spot treatment that is not meant to be left in the carpet. It needs to be thoroughly rinsed out of the carpet after applied. Sand is to carpet what saws are to trees. I own a carpet cleaning company in the Minneapolis – St. Paul Area and Minnesotans track a lot of sand onto our carpet. Carpet fibers are very thin strands; thinner than the hair on you head. The fibers are woven and spun together for strength in numbers. This is why we can walk on carpet without damaging it much while the carpet is clean. The fibers rub against other fibers with limited friction. Sand, on the other hand, has at least two ways of changing this. These tiny grains of sand are like boulders to the tiny thin carpet fibers. The sharp surfaces of the sand are more than enough to chop through a few individual fibers. Another instance is when two pieces of sand rub together with a few fibers in between them. Eventually they rub right through those fibers. This is like having sandpaper taped to the bottom of your shoes. If this is your home then it is not too hard to have people take off their shoes. This will cut down on the need to have the carpet cleaned as often. In businesses, you can’t ask people to take their shoes off. You can, however, have the carpets cleaned and protected on a consistent schedule that make sense for the volume of traffic your company receives. The cleaning removes the sand and the protector coats the fibers and makes them thicker for the sand attacks that happen in between the cleanings. I hear all the time: “I can’t believe how good it smells in here now.” I hear this when I call my clients to make sure they were totally happy with the carpet cleaning job we did for them. Do I have a secret to achieving this? Yes, I do! Every time we fill our rinse tank with water, we add Multiphase Deodorizer to the mix. There are three major benefits to doing this. This deodorizer contains an enzyme that feeds on bacteria. We do not put enough in our rinse to treat problem mildew, mold, or urine areas. However there is enough to ensure that even if the carpet takes longer than usual to dry there no worries of mold or mildew forming. It helps reinforce the full strength application of deodorizer that we do use to kill the bacteria, mold, mildew, and urine. Leaves your carpet smelling fresh and pleasant. We have found that despite the extra cost of introducing this enzyme deodorizer to our carpet cleaning rinse, going the extra mile goes a long way in customer satisfaction. Not only making these Minnesota nice clients happy, but actually turning them into full-fledged fans. I own a carpet cleaning company in the Twin Cities Area of Minnesota called the Commercial Steam Team. I have been cleaning carpet for 13 years and one of the most effective products I use is Hydramaster’s Multiphase Deodorizer. As in its name, Multiphase is a triple action deodorizer that covers a broad spectrum of odor causing bacteria. I like to use this deodorizer because it is both powerful on bacteria while being gentle on carpet cleaners. In my 13 years of carpet cleaning in Minnesota, I haven’t found anything that works nearly as well. “Since it’s May of 2011 and we don’t seem to get a spring this year, do I still have to get the carpets cleaned?” I know the weather here in the Twin Cities has been mimicking Seattle lately, but yes even their businesses need to have their carpets cleaned. In fact, the extra moisture this year poses an extra risk of mold and mildew in carpets. This happens because of the humid air as well as moisture being tracked in on people’s shoes. A thorough carpet cleaning and an enzyme deodorizer treatment is very important after the winter is over. The enzyme in the deodorizer feeds on the bacteria kills the source of smells and allergens. Salt and sand are also tracked in from the Minnesota roads, parking lots, and sidewalks. They don’t affect houses as much since people usually take their shoes off at home. However, employees and customers rarely take their shoes off in a commercial setting. The more sand and salt gets trampled on the more damage it will do to the carpet. A powerful commercial carpet cleaning will clear this out of the carpet fibers allowing the carpet a fresh start. New debris will always get tracked onto the carpet, but keeping the overall amount of sand and salt at a minimum is crucial. Have you ever had your carpets cleaned in your home or business and the carpet didn’t look as good as you had hoped in the high traffic areas? This could be because your carpet cleaner didn’t do a sufficient job, but it could also be permanent fiber damage. If it didn’t look like there was much of a difference after the cleaning then it was probably not a very good job. That being said, carpet fibers that have taken on damage will appear dirtier than they really are because they no longer reflect light the same way that they did before this damage happened. Similar to scratched-up Plexiglas, light is distorted and will appear much darker than the unscratched Plexiglas. This happens because carpet fibers are essentially made of clear plastic. These fibers are so thin you may need a magnifying glass to see them. They are woven together like yarn to make thicker strands. Sand, dirt, and dust are very small but compared to carpet fibers they are gigantic boulders with sharp edges. The more soiled the carpet gets, the more power this sharp debris has to saw into the carpet fibers, sometimes severing them from their root completely. Compare it to taking sand paper and gluing it to the bottom of your shoes. That is the best analogy I can come up with though to describe what happens when these particles collect in large numbers. Our shoes crush and mash the fibers together, scraping and slashing them with tiny sharp particles. To be honest, it is pretty amazing how well carpet stands up to this, especially in commercial applications. Even worse than dust and dirt are the metal shavings created in machine shops. These particles are like tiny saws and our shoes are the lumberjacks. The best defense against these microscopic belt sanders is to have the carpet cleaned and protected on a regular basis (minimum of once a year). The cleaning lowers the numbers in the sand and dirt army while the protector creates a thin plastic layer over the fibers that will take the damage instead of the fibers themselves. Much like how wax protects the paint job on your car from flying sand on the roads. Why Did My Carpet Turn Yellow Beneath My Area Rug? In my 13 years as a carpet cleaning professional in the Twin Cities area of Minnesota, I have run into many cases where the carpet underneath an area rug has a yellow tint to it. This discoloration is literally the size and shape of the area rug that was sitting on top of it. It took some time but through my research I learned that the gases released from the glue that holds the carpet together can actually change the ph. level of the carpet. This usually takes months of trapped gas to make this happen. I would imagine humidity and airflow as well as other factors, contribute to this phenomenon. Unfortunately there is no known method to reverse this problem. https://commercialsteamteam.com/wp-content/uploads/2017/08/cst-logo-300.png 0 0 Ryan https://commercialsteamteam.com/wp-content/uploads/2017/08/cst-logo-300.png Ryan2011-04-01 04:54:422011-04-01 04:54:42Why Did My Carpet Turn Yellow Beneath My Area Rug? Reputable carpet cleaning companies agree to return to their jobs any time a customer is unsure of the results of the work done. The most reputable companies call every job a week after cleaning to make sure they are happy and offer what we call a “redo” to make sure the client stays a satisfied and loyal client. As important as redo’s are, they also cost money to complete. This is time and expense being used without extra compensation from the client. For this reason and more, it is important to do the job right the first time. Carpet cleaning, like many things in life is largely about balance. In this case it’s about the balance of PH. levels. The process starts with pre-spray and spot cleaning agents and finishes with a rinse to balance the Ph. out. All professional carpet cleaners, no matter who they are, start off with an alkaline or acid pre-spray. The next step is to rinse it out with a rinse that is opposite the pre-spray on the Ph. scale. Spot cleaning agents vary in specifics, however, unless it is a leave in treatment, they all have one thing in common. Cleaning agents need to be rinsed out as much as possible. Cleaning agents that are not rinsed thoroughly can attract dirt back to the spot or spill. This makes the spot or spill look like it has resurfaced and come back after the cleaning is done. The best way to thoroughly rinse the carpet is to make sure you have the most powerful direct drive carpet cleaning truck mount available. Second, make sure you are using a rinse that is opposite the Ph. of your pre-spray. Third, simply do extra rinse strokes any time you clean over an area you spot treated. The whole room doesn’t have to be done this way, just the spot where you used a spot treatment. Fourth, you do extra vacuum strokes where you did extra rinse strokes. Extra rinse means slightly higher moisture levels and requires “balance” when it comes do drying the carpet as well. By maintaining balance in the carpet of both Ph. levels and moisture, the chances of a spot or spill appearing to return on you are nearly eliminated and so are your redo’s. Out of the last 1814 jobs, my crews only had to return to 23 of them. All 23 are still very happy clients. This is one of the methods they practice at every job to make sure they keep their routes redo free and full of loyal, paying, repeat customers here in the Twin Cities. In the carpet cleaning industry, you often hear of one man crews being better than one two man crews. In truly selfish terms, the employer can make a lot more money with one man crews. The cost to the employer is less with one man crews. Also, they spend longer in the presence of the customer and build more of a rapport which helps in increasing on site sales or “up-selling”. The flaw in this strategy is that it only benefits the company and in no way benefits the client. The customer may believe that the extra time spent by one person means better quality. However, between setting up the job, pre-spraying, cleaning, setting down the wand to pull the hose or go get the spot treatments, easily two thirds of the time is spent doing what the assistant would do while the crew chief keeps the wand moving. The truth is this is all wasted time that the customer could be using to live their busy lives. Two man crews are efficient. It is easier for a crew chief to ask his assistant to go to the truck to get something, than to set the wand down and go get it himself. This can lead to steps being skipped for the sake of time or fatigue. One other important factor that I have found is accountability. Two man teams rely on each other. One person can’t sacrifice quality without it affecting the other worker. It’s much easier to decide to slack off for one day or one job without personal accountability to another crew member. Loneliness can also lead to depression. There is no one to help spur the other team member on. Honestly, cost to the employer and increased sales are the only benefits to having one man crews. Solo routes will always be necessary in any carpet cleaning company. That being said, for the sake of the customer, solo routes should be the exception, not the rule. Professional carpet cleaners stopped using oil based soaps or “shampoo’s” decades ago. Some less experienced carpet cleaners still have a problem with rapid re-soiling. Why is this? Proper training and equipment eliminates this problem for those companies that understand how it works. State-of-the-art direct drive truck mounts are important to get the carpet dry enough after the job. If the carpet is left wet for days then the carpet will lose its ability to resist rapid re-soiling. Ph. balances must be equalized. Companies that rinse with water will leave the Ph. level of the carpet too high after cleaning. This can feel residue-free, but will attract soil none the less. Companies that grow too fast through advertising tend to have a turnover of only a few months. Proper training takes many months of assisting to an expert carpet cleaner to ensure that Ph. ratios get balanced. Carpet cleaning is a science, but it is also hard work. Training is important as well as hiring the right workers and paying well enough to keep them motivated and in your employ. “Shampoo” may not be a factor in professional carpet cleaning anymore, but work ethic and training always will be. Well intentioned as they are, janitorial companies are not professional carpet cleaners. In my 13 years of carpet cleaning I have cleaned up after hundreds of janitorial companies who wanted to make a little extra money from their clients by cleaning their carpets. This is a sound idea for them as a business model, however it often ends up with them disappointing their clients. The main reason is rapid re-soiling. Unfortunately, janitorial companies typically cause the carpet to get dirty faster after they clean for their clients, meaning that they need to be cleaned more frequently. Floor buffers can unravel the carpet fibers and loosen the nap of the fibers leaving more room for soil to penetrate the surface of the carpet. Floor buffers do not remove as much soil or even their own cleaning agents from the carpet; rather they push it down into the carpet. Janitorial companies may rent equipment to do the job, and the more they spend on the rental equipment, the less profit they make on the job. Rental equipment is abused over time. As a result it takes so long to properly extract the moisture that few are willing to spend the long hours or days it takes to get enough water out of the carpet. Carpet left too wet can be sloshy and take days to dry. The longer a carpet is left wet after cleaning, the more time spills have to wick up through the carpet. Moisture in the carpet can begin to reduce the carpet’s ability to resist re-soiling if left wet for days. Moisture left too long encourges mold and mildew growth deep in the carpet. Training, specific to carpet cleaning. Janitorial companies rarely pay above minimum wage and as a result their employees are not motivated to learn and execute alternative job skills to the ones that they already do. This is not the fault of the janitorial companies. There is just too little profit margin in that industry to pay any better. It takes many months of working with an expert in the carpet cleaning field to learn the proper ways to mix the cleaning agents and to identify potential problems. It takes a carpet cleaning business owner years to perfect what he or she teaches their employees and for janitorial companies and handymen, there isn’t a seasoned carpet cleaning expert to pass this knowledge on. Professional carpet cleaners stopped using oil based soap or “Shampoo” decades ago. Janitorial companies and handymen have taken longer to catch on. The bottom line is that when carpets need to be cleaned, especially in a commercial environment, a commercial carpet cleaning expert is necessary. Janitorial companies and handymen can be wonderful at what they do but they are not professional carpet cleaners any more than plumbers, electricians, and ballet dancers are. Ph. levels need to be balanced to prevent rapid re-soiling and equipment and personnel are key in making that happen. When you pull out your couch to get that tennis ball your dog knocked underneath it in a rousing game of repetitive catch. You suddenly notice that the carpet underneath the couch looks completely different than the carpet in front of it. A few months go by and either your conscience or your partner begins nagging you to do something about it. “Don’t worry sweetheart, I will rent a rug doctor.” Famous last words. If it was that easy then everyone would do it. No one should be expected to know what they are doing when trying to do a professional job on their first try. It takes days to do the best job possible with a rental unit. Many people don’t realize this until they are in the middle of the job and rush through it after that (understandable). Rental equipment is limited by the electrical power source available and can’t risk tripping circuit breakers in the homes and apartments it is used in. Rental equipment is designed with more emphasis on its durability than its effectiveness. After all if it broke every time it was rented, it would eat up all the profit. Meaning that it’s going to be underpowered. When more than 5 percent of the moisture is left in the carpet, it takes a long time to dry and will affect the carpets resistance to re-soiling. People tend to beat up rental units. After all, they don’t own them, and most people tend not to respect other people’s property. This means the equipment’s performance will likely be sub-par, something that a rental company is not as likely to be concerned about as long as it is still rentable. Professional carpet cleaners stopped using “shampoo” or oil based products decades ago. The rental units often still use these. Rental units often rinse with regular water which is not capable of balancing the Ph. levels of the cleaning agents that were used, even if they were not oil based. The truth is that most people who attempt to clean their own carpets do not ever attempt it again. Or they get stuck in an endless cycle of cleanings that become more and more frequent over time as the residue builds up in the carpet. Most professional carpet cleaners know (and those that don’t, should) not to use oil based products or “shampoo’s”. Few suppliers even carry those products anymore. Also professional carpet cleaners are the only carpet cleaners that know the proper mixing ratios, have the expensive direct drive truck mount equipment to do the job (this varies from company to company). Truck mounted units are not limited by circuit breakers and some even run directly off of the V8 engine. In summary, DIY carpet cleaning is a buyer-beware sort of thing. If you’re serious about cleaning your carpet, you should hire a serious professional to do so. Have a great day! Why Use Professional Hot Water Extraction Carpet Cleaning? Hot Water Extraction has been the primary carpet cleaning method since 1947. Many people call it “Steam Cleaning”. It is simply a pressure washer that is followed by a vacuum to dry it. The strength of equipment varies from little rental portables like Rug Doctors, to powerful machines that run directly off of the V8 (8 cylinder) engine. Though it seems silly to lump those together into one category, that is exactly what companies do that try to compete with Hot Water Extraction. These companies use statistics gathered from janitors and homeowners who rent small machines without training and try to do the job of highly trained professionals themselves. Many of these people leave the carpet wet (it should never be left more than damp to the touch). Wet carpet can take days to dry and if damp for more than 36 hours in ideal circumstances carpet can mildew (I recommend adding an enzyme deodorizer to the rinse that feeds on mold and mildew. this prevents its growth if something were to go wrong) . Real professionals know to leave the carpet as dry as possible. If they don’t then they find out very shortly after starting their business when the phone calls come pouring in wondering why the carpet sloshes beneath their feet. The other mistake made by non-professionals is the use of oil based products. Professionals by and large stopped using oil based products many years ago because it was discovered to attract dirt to the areas most heavily worked on. This just made the carpet look worse within months of the cleaning. It is also important to rinse the carpet with a rinse that will balance the ph. Level. Left unbalanced, the carpet will also rapidly re-soil. Some professionals still make that last mistake. Hot Water Extraction, when done by professionals still remains the safest method of carpet cleaning to this day. Like any industry like this, be sure to find a company you feel you can trust. It’s a safe adage that if the price seems too good to be true than it probably is. There is not a lot of room for profits in the carpet cleaning industry, so if you cut your prices too far they need to be made up for somewhere else. The final mistake that most do-it-yourselfers make is the rotary brush, or pad systems. Most dry cleaning methods are this way. They push down the dirt to the backing where it still causes problems and they don’t fully rinse out their cleaning agents. They also add wear and tear to the areas that already have it. The dirtier the area the harder they need to scrub the carpet and the more residue they leave behind. This can unravel the carpet fibers as well. Always make sure to work witha knowledgeable professional to ensure the best life for your carpets and the healthiest experience for those that live, play, and work on them! https://commercialsteamteam.com/wp-content/uploads/2017/08/cst-logo-300.png 0 0 Ryan https://commercialsteamteam.com/wp-content/uploads/2017/08/cst-logo-300.png Ryan2011-02-09 15:55:262011-02-09 15:55:26Why Use Professional Hot Water Extraction Carpet Cleaning? Carpets made walking barefoot in our homes a reality. Carpet is also responsible for laying in front of the fire or the T.V. And as I can speak from experience here in Minnesota, carpet also lowers heating costs in the winter. The one thing people realized early on was it gets dirty and it’s not as easy to clean as hard floors. So how did they get them clean? The first cleaning method was “have the slaves or maids clean them”. I would say lol but there is nothing funny about slavery or indentured servitude. The reality was that carpet cleaning was only affordable to the wealthy. Carpet was primarily loose rugs that could be removed from a room and beaten to remove the dust and dirt. Sometimes a stiff bristled brush was used to sort of sweep the dirt and sand from the rug. In 1827 a publication teaching servants housekeeping said to use a lemon to remove ink stains. The 1880’s took a bit of the load off of the servants by the invention of carpet sweepers. By 1900 the horse drawn door to door carpet care business was in swing. Early models were so large they were on a carriage drawn by a horse and parked at the curb of the building getting cleaned. Sounds familiar to me as a professional carpet cleaner. Soon in the 1920’s the wealthy were given the opportunity to own their own personal carpet cleaners. These were expensive and John Q. Public couldn’t afford it for decades after that. In 1947, I am very glad to say, hot water extraction was invented. Though consistently improved over the last half a decade or so, hot water extraction has continued to be the leading method. It is hard to believe that a $2,000 portable unit and a $70,000 direct drive truck mount fall under the same classification, but they do. From rug doctors wielded by homeowners to Hydramasters wielded by professionals the hot water extraction industry continues in full swing to this day. There have been other attempts to improve on the carpet cleaning industry such as dry cleaning, foam cleaning, rotary cleaning, etc. Each of these methods spiked interest when they first came out. Each declined as fast as they rose as people were disappointed in the results they received. Even with the bad publicity of cheaper portable machines, the positive results of high end hot water extraction truck mounts has maintained the lions share of the carpet cleaning industry with no signs of slowing down. In some ways the carpet cleaning industry is still a door to door industry. Though now it is a multimillion dollar door to door industry. Minnesota is a unique and wonderful market for carpet cleaning. Everyone wants carpet on their floors because the floor gets too cold in the winter and it helps keep our toes warm and heating costs down. However, our de-icing methods and sanding the streets, not to mention mud during the spring thaw, contribute to Minnesota being one of the harshest climates on carpet. The sand we use makes ice less slippery but that same grit that makes our tires and shoes gain traction also acts like sand paper on the bottoms of our shoes. When salt is allowed to build up in a carpet (commercial carpet more likely), it will form together into a single mass. Especially when moisture like melting snow is added. This mass not only adheres to the fibers but now has a much larger surface area to get through. For this a portable carpet cleaning unit and dry cleaning methods are useless. The salt needs to be melted through moisture and heat. It then needs to be removed through large amounts of suction. I recommend a top of the line direct drive truck mount unit. (Hydramaster 4.8 cds if possible). For best results have the carpet cleaned on a regular schedule before the salt has a chance to combine with itself and the sand. Also vacuuming regularly is helpful to get as much out as possible while still in crystal form. No one likes having to return to a job days or longer after a carpet cleaning job to get one or more spots out. Even worse, no customer likes the inconvenience of a second trip either. This cannot be eliminated entirely, though there are some steps that can be taken to greatly reduce these occurrences to nearly zero. Know your spot or spill. Use the correct cleaning agent for that particular spot. Sticky/dense, use an acid base (citrus). Coffee, use a leave in treatment (Stain Magic). Oily residue, encapsulate the oil molecules. Most carpet cleaners forget they are rinsing the cleaning agent out as well as the spot/spill. Make sure your equipment is powerful enough to rinse both the spot and spill. Cheaper carpet cleaning companies save money on equipment. They can’t rinse all the way to the backing, even if they try. Do not go over 500 lbs. psi. or you can go through the backing to the pad underneath. The pad will likely not dry for months or longer. Leave the area of the spot/spill as dry as possible. I find with Hydramaster 4.8 direct drive, a few extra vacuum strokes does the trick. Other equipment may take much longer. Recommending the customer turn their thermostat fan on (rather than auto). This way the fan still runs without cranking the ac/heat up. (much cheaper way to run the fan). The client can place a fan directed at the spill as well. Or bring your own fans/blowers if your equipment vacuum isn’t as strong. Understand that spots can look like spills beneath the carpet surface. Vacuum the area around the spot as well. These are a few easy steps to prevent recurring spots/spills. The best step is prevention by applying a protector each time the carpet is cleaned. This prevents the spill from soaking into the heart of the fibers as easily. This also allows more time to blot out spills before soaking in. These steps will likely prevent nearly all spot/spill related redos, when done properly. Here in Burnsville Minnesota we’re finally past the high pollen season where the trees dump vast amounts of yellow pollen into the air and it gets on everything. Pollen is most visible on smooth surfaces outside such as your car or the furniture on the deck. We find ourselves coated in the stuff when we go outside and coincidentally when we come inside it comes inside too. Pollen is on our clothes and shoes and is collected by our carpets. Carpets act like a trap collecting allergens like pollen, dust, dirt, pet dander and many of the things that are in the air. Carpets act like a filter in our home, they trap particles and hold them until carpets are vacuumed and steam cleaned. Click here to see the CNN video about common causes of indoor allergies. With the kids out of school and spending more time at home it’s a good time to steam clean your carpets and remove the buildup of allergens and improve indoor air quality. We can help you remove all those allergens from you carpet making a cleaner indoor environment for your family. Call us at 952-891-3022. At least twice a year for light traffic, once in the spring to remove all the buildup of chemicals and molds and once in the fall to remove all the things tracked in all summer long. Monthly for medium to heavy traffic and for light traffic in cases where a positive impression is important. Weekly for extremely heavy traffic, for lighter traffic areas when a positive impression is critical, in circumstances where health and cleanliness are particularly important, and in cases where outside contamination is heavier due to construction or other adverse outside surface deposits. Before open houses steam cleaning can remove odors from cooking or pets and make your carpet look new again. Special events held at your business require making the right impression on your guests. Don’t forget to steam clean your carpet when you are sprucing the place up. After any high traffic event it is a good time to steam clean your carpet to remove all the dirt brought in. Cleaning your carpet when it is really dirty helps prevent the dirt from being imbedded into the carpet. If you have an area in your building that has heavier dirt or grease you may want to clean those areas more frequently than you would an office with less foot traffic.